For a very long time now, I’ve been fascinated by the idea that computers can do maths. Not just a little bit of maths, but lots of maths and really fast. I remember as a 7-year-old typing 2 x 2 into my calculator and then pressing equals. As fast as my little finger could press that equals button the powers of two (I didn’t know they were called that yet) kept on coming. What an incredible device. How did it do things so fast? In high school, I remember using Microsoft excel for the first time. Now things were even more amazing. I could create sheets like below with the simple drag of my mouse. Not only that, but I could create excel sheets that automatically calculated pretty much anything I wanted to calculate! All I needed to know was the formula required and away I went. I made what I liked to call “Auto-Solvers”. Auto rectangular prism solvers, Auto simultaneous equation solvers, Auto home loan repayment solvers. Anything could be automated with my buddy excel. But as a teacher now, there is a problem. These Auto-Solvers are everywhere on the web and freely available. I need to make them realise that somebody, somewhere created that website. Maybe they could create something too! 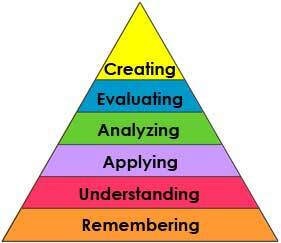 Right up there at the pointy end of Blooms Taxonomy, CREATE! This is an auto-solver that solves for the hypotenuse of any right angle triangle you can throw at it. Test it for yourself here. Now if you look to the right of that gif you’ll see little lego-style coding blocks. Those are the simple coding language used by Scratch 2.0. Space Pythagoras Shorter Side Solver. I’m excited about embedding coding into my mathematics class, and I think by giving them a simple template to work with, I can ease them into it without losing too much time to explicit coding instruction. How about anybody else out there, anybody embedding coding into their mathematics class? At our coop school, we started teaching a basic programming class to 5th and 6th graders as a form of math enrichment. We have been using pencilcode (www.pencilcode.net) as a convenient form of Logo (Seymour Papert’s turtles). The emphasis is visual geometry, which makes it both accessible for beginning coders and puts math at the center of the experience. Scratch can also be used for turtle graphics, but my impression was that it wasn’t as nice an implementation when I last reviewed it.